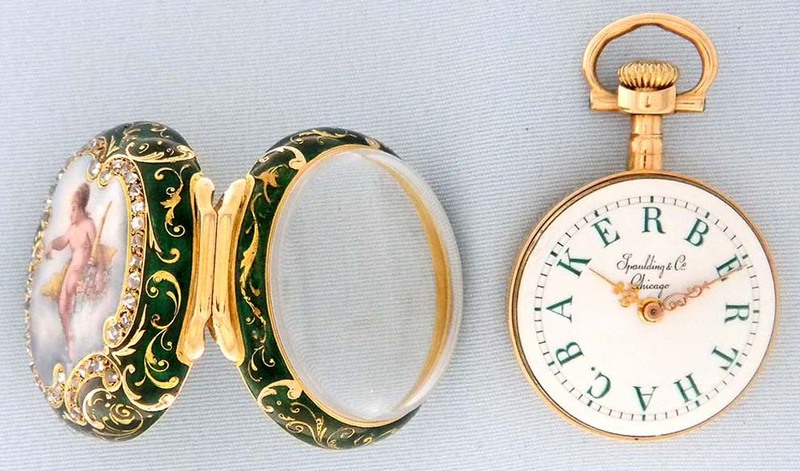 Fine, beautiful and scarce Patek Philippe 18K gold, painted enamel and diamond pair case antique ladies pendant watch circa 1895. 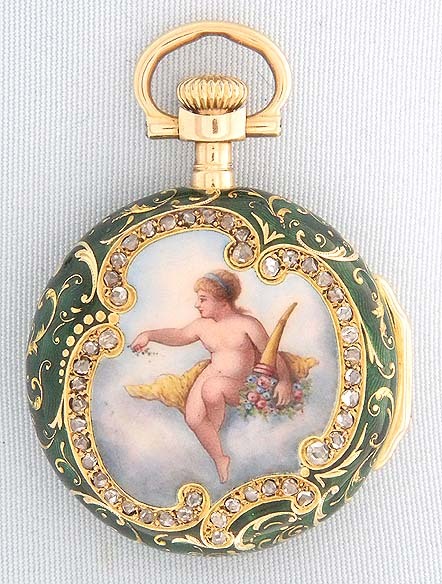 The back with a painting of a cherub with flowers within a diamond border surrounded by green enamel with gold decorations over engine turning. 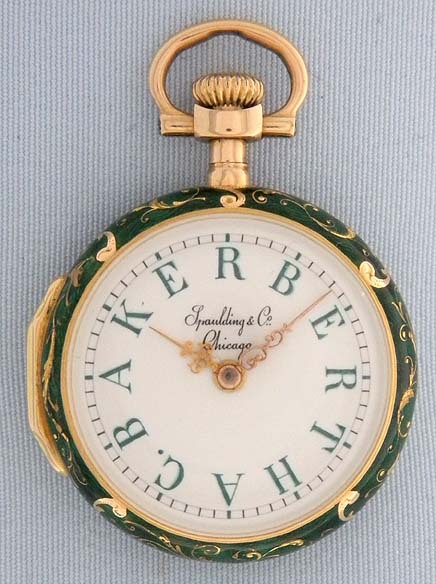 Fine white enamel dial (tiny edge repair hidden under the bezel) with fancy gold hands and the name of the owner (Bertha C. Baker) in green enamel in place of numerals. 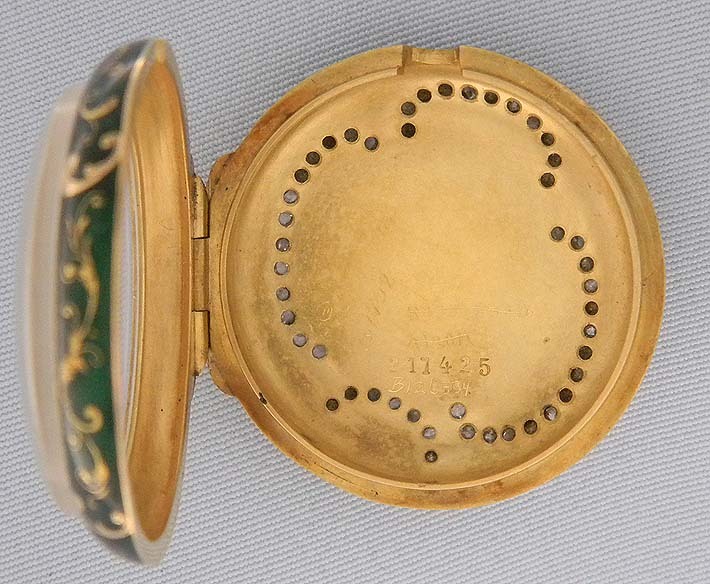 Glazed outer case, the inner case with glazed back. 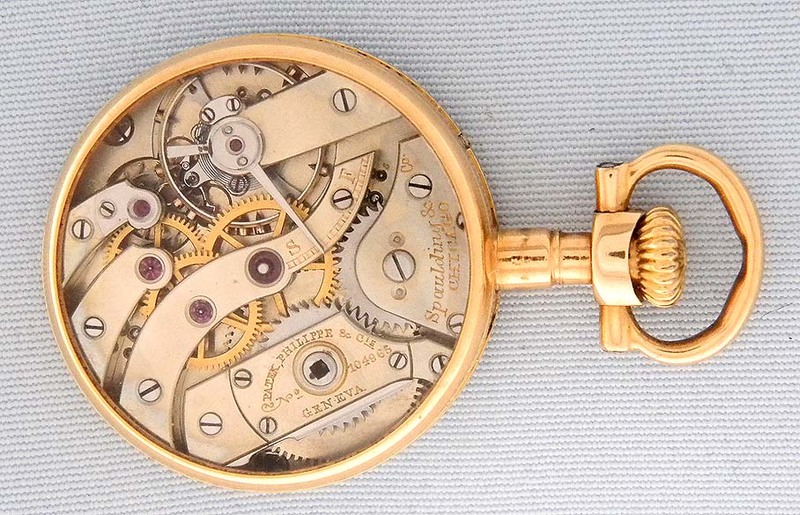 Fine 18 jewel movement with wolf tooth winding.